The legendary Montague Urban folding bike meets the also quite legendary Copenhagen Wheel to create a full-size, folding electric bike that is fast, reliable and truly state of the art. The Montague Copenhagen (Montahagen?) 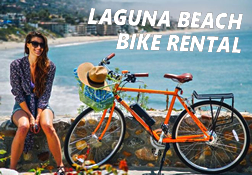 folds up and fits in the closet or the trunk of your car so there’s no need for a bike rack. The Montague Copenhagen full-size folding electric bike is a portable electric transportation solution that packs up and stashes away. Out of sight until you need it and then you’re away. You really can take it with you. The possibilities are limitless. Invented at MIT and developed by Superpedestrian’s team of leading robotics engineers, the Copenhagen Wheel redefines e-bike technologies. Through extensive research and development efforts in advanced sensing and controls, as well as innovative product design, the Copenhagen Wheel enables an unparalleled riding experience. The Electric Cyclery Package includes the Montague Urban folding bike with the Copenhagen Wheel electric assist system, rear RackStand and Montague folding bike carry-bag. IN-STORE ONLY – No online orders. 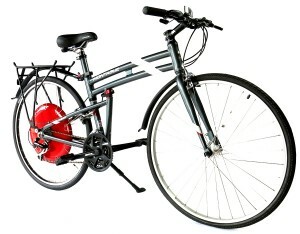 Folding Bike Sizes: 17 inch (Small), 19 inch (Medium) and 21 inch (Large) frame sizes. Most sizes are usually in stock but call ahead for size availability. 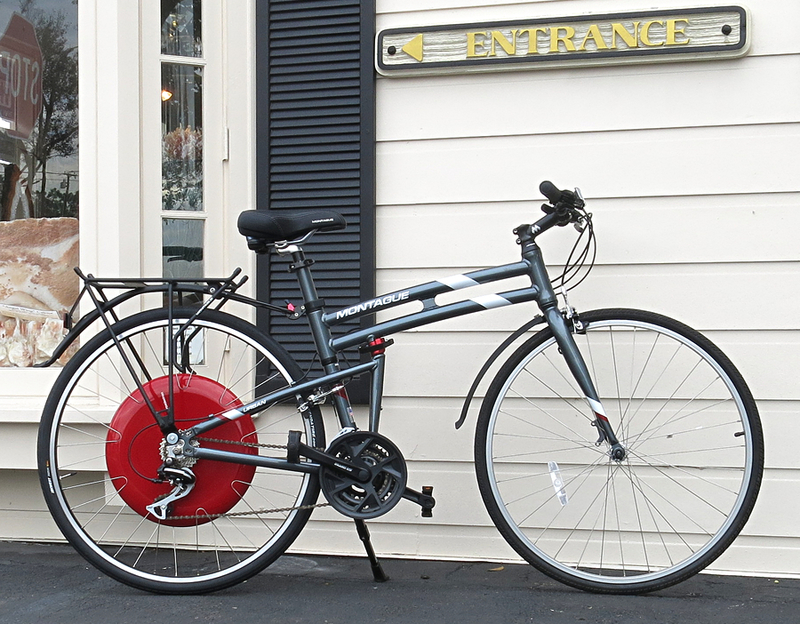 The Legendary Copenhagen Wheel from SuperPedestrian – invented by MIT. 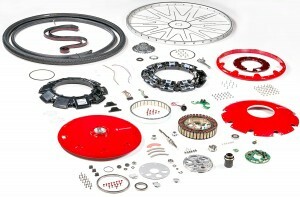 The Copenhagen Wheel contains a custom motor, advanced sensors, control systems and a battery. Bluetooth connectivity enables you to personalize your cycling experience from your smartphone. Distances shorten, hills flatten and the experience becomes uniquely yours, ride by ride. Invented at MIT and developed by Superpedestrian’s team of leading robotics engineers, the Wheel redefines e-bike technologies and takes it to the next level. Test ride at Electric Cyclery.